The Philips 276E9QDSB from the brand’s E Line offers a large, IPS screen with vibrant colors that’s perfect for everyday use. 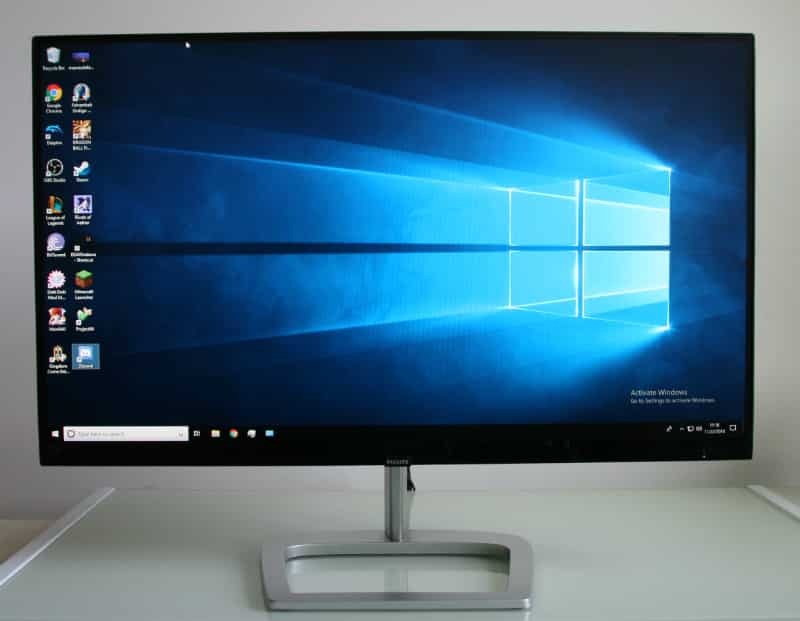 The monitor comes from a family of value monitors, but its merit will lie in the image quality and its suitability for casual gaming or even browsing. The Philips 276E9QDSB is particularly interesting because it’s more affordable and more stylish than most of its competitors, but what kind of results can we expect from a budget-oriented product? The Philips 276E9QDSB sports a simplified aesthetic that makes the model presentable despite its limitations as a budget monitor. The chassis is finished in glossy black that adds a nice touch of luxury, but it can be difficult to maintain in the long run. The screen features ultra narrow borders on three sides, making the viewable area look larger than it actually is. One of the characteristics we like about the Philips 276E9QDSB is its proportions that doesn’t intrude too much. The cabinet itself is thin enough despite a slightly curved bulge, while the total depth of the device when assembled only consumes eight inches. The blank space on the base is also great for keeping your knick knacks such as phones and thumb drives in place so they don’t get knocked off the table. However, there are a few missing creature comforts from the Philips 276E9QDSB since it’s priced to fit in the entry-level department. The silver-finished stand can only offer tilt, severely limiting the positional arrangement of the display. This limitation makes the 100 x 100 VESA compatibility a godsend, allowing users to opt for an articulated aftermarket mount that offers flexibility. The I/O panel is also limited to what’s essential for 1080p 60Hz operation, eliminating modern connectors such as DisplayPort. You only get an HDMI 1.4 slot, DVI-D Dual Link, and D-Sub for video inputs. There are also no USB receptacles and built-in speakers, but we think that these omissions are still fair considering the very low price. 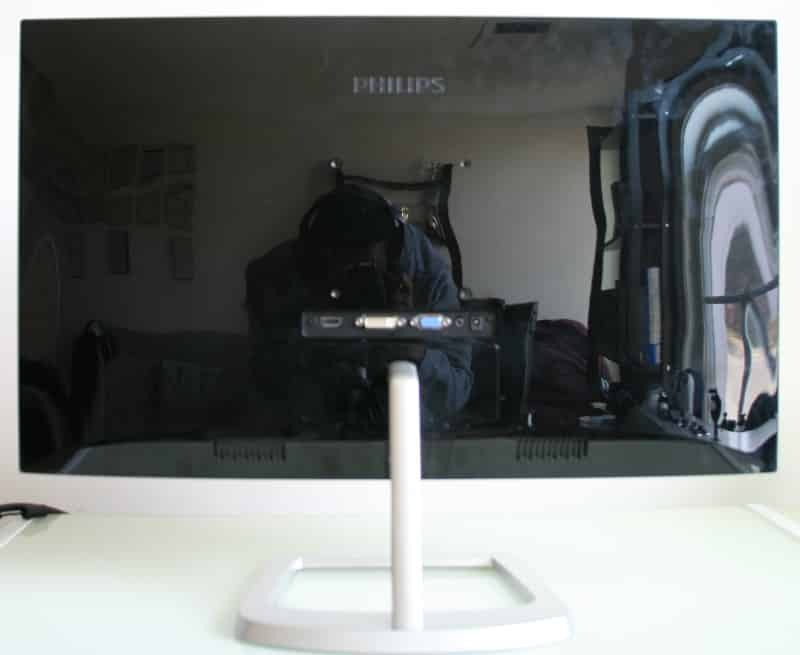 But for what it’s worth, the Philips 276E9QDSB offers excellent value due to its decent build quality. Our test unit did not wobble and there are no uneven seams, indicating that Philips still applied its standard quality control to the product. 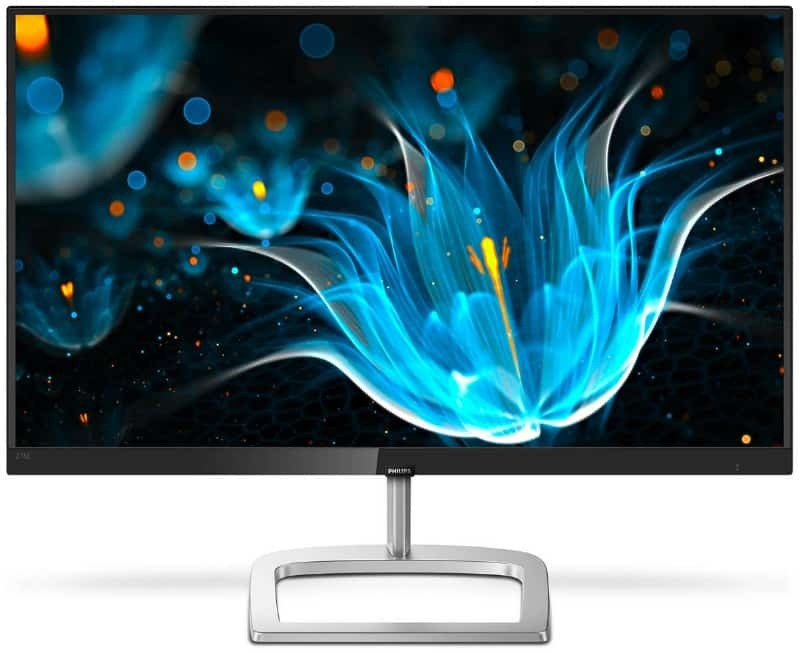 The Philips 276E9QDSB features a 27-inch IPS panel with a 1920 x 1080 resolution, 60Hz refresh rate, and 5ms response time. The WLED backlight can only go up to 250cd/m2 according to the spec sheet, while typical static contrast stays at 1000:1. The monitor is also advertised to produce a wider gamut coverage than most, for improved vibrancy and visuals. What you will instantly notice on the Philips 276E9QDSB is the visibility of the pixels which makes images less crisp. This becomes apparent if you are used to a 1440p or a 4K display which is considerably sharper and well suited for this size. However, that side effect is fully expected for a 27-inch 1080p model, and simply sitting back a bit further should solve it easily. The IPS panel on the Philips 276E9QDSB posts mixed results when scrutinized with a colorimeter like the DataColor SpyderEliteV, revealing a few inconsistencies. The screen is capable of nearly perfecting the sRGB coverage while also hitting 90% of the Adobe RGB gamut. Accuracy averages at DeltaE 2.8 which is decent, but definitely not the best in this range. These numbers translate into an extra vibrant screen with richer colors and a clearer definition between shades. The monitor works great for watching videos or playing casual games, but it is unsuitable for entry-level photo editing. The inaccuracies are there, but to the untrained eye, the screen will still look attractive. The backlight on the Philips 276E9QDSB exceeded it’s expectations, reaching as high as 325cd/m2. However, we don’t recommend using the screen at 100% illumination to keep the image balanced and for eye safety reasons. Contrast is also affected by the backlight’s intensity, dropping to 780:1 from a decent average of 850:1 at 25% brightness. The panel uniformity of the Philips 276E9QDSB is also dependent on setting a reasonable brightness setting, just like the contrast. 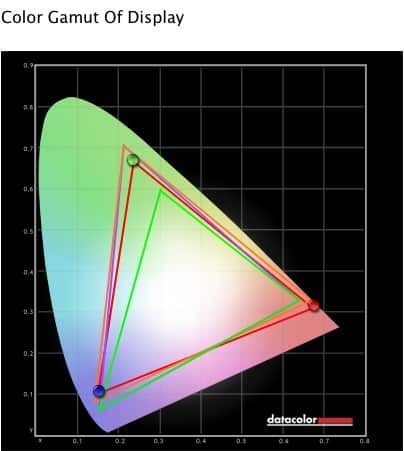 Color uniformity deviances stay within DE 2.8 at 25% to 35% backlight levels, but it will worsen to DE 6.0 at the bottom corner if you turn it up to 100%. The screen will also look unevenly lit if the backlight is too high, so it is recommended to place the product in a shaded area. the Philips 276E9QDSB can still handle motion decently despite having an IPS panel that’s slower than the gamer-grade models. The screen doesn’t smudge or suffer from image retention, indicating that pixel response time is capable of decent timings. The only real limitation to the monitor is its 60Hz refresh rate which limits how blur-free the screen can go. 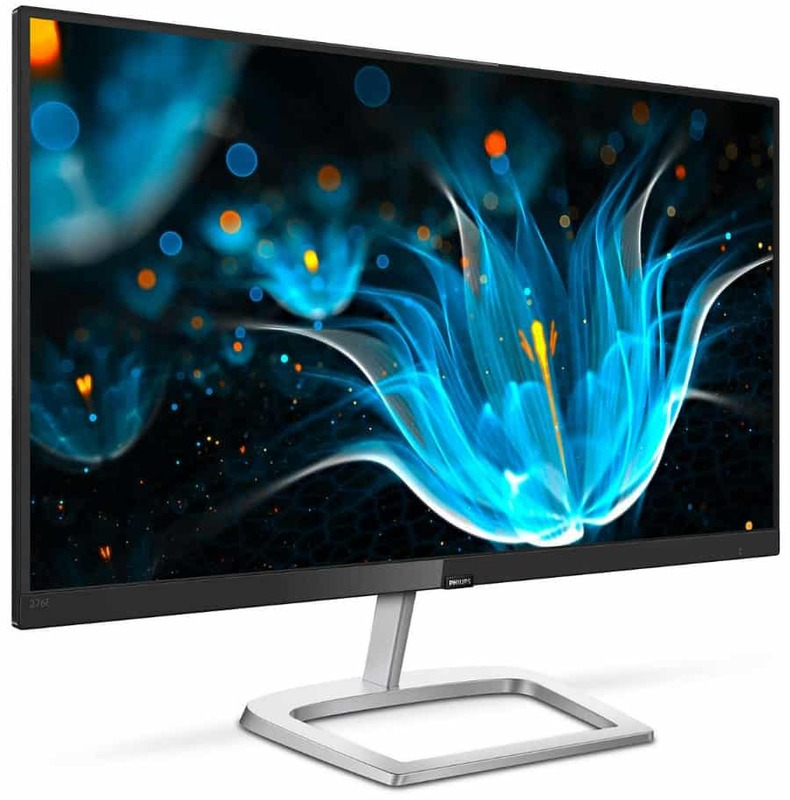 The Philips 276E9QDSB is compatible with FreeSync for AMD GPU users who want smoother visuals. Granted, it’s unnecessary for 60Hz 1080p gaming, but having it activated to safeguard the framerates ensures that stutters will not happen during clashes or heavy transitions. Input lag on the Philips 276E9QDSB stays within 10ms, so we didn’t experience any delay in panning the view or the controls. The monitor is suitable for casual PC and console gaming where the extra color pop comes in nicely. However, for competitive scenarios, a 144Hz variant will still be the better buy, even if the price difference is a bit more considerable. The Philips 276E9QDSB is a monitor that’s well-suited for its intended use such as casual gaming, watching movies or browsing. The display’s extra vibrancy adds a nice pop to images, especially in the greens and reds. However, to get the most out of its image quality, you need to limit the brightness level to keep the characteristics of the output balanced. We also like the aesthetics of the display despite the missing creature comforts that we are used to having. If you are in the market for a monitor that’s bright, rich in colors, and affordable, the Philips 276E9QDSB is an excellent choice. I recently got the monitor myself after reading your review, but for some reason I seem to cannot find the Freesync option in the monitors OSD. How do you enable it? Hi, Sands! There should be an option in the OSD to activate FreeSync. What region did you buy your monitor from and can we know the full model name, including extensions? Hello and thanks for review. I got this monitor since yesterday and when played on PS4 Pro game called Horizon Zero Dawn i see a noticeable blur when rotating screen around main character head, makes me wonder if there is high GtG response issue. I didn’t see it that badly on Destiny 1 or Last of Us remastered. Wish that someone else could confirm that this is game issue with some kind of blur effect. Strangely also enabling SmartResponse to any settings does not make any difference at all. Hi, Marek! 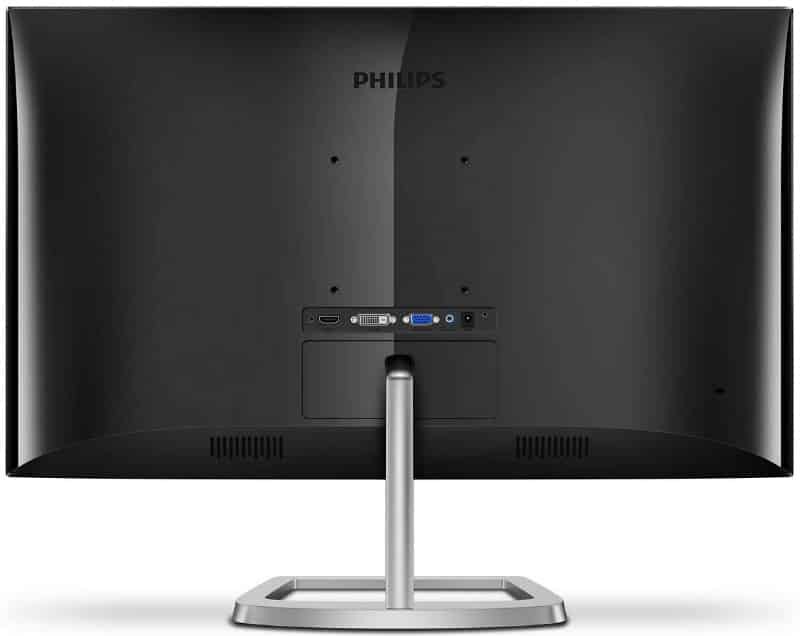 The Philips 276E9QDSB isn’t the fastest monitor out there, so it has its limitations in motion handling.